Prairie Creek Conservation Cemetery (PCCC) is a non-profit community cemetery nestled in a protected conservation area near Gainesville, Florida. We are licensed by the state of Florida and certified at the highest level by the Green Burial Council. 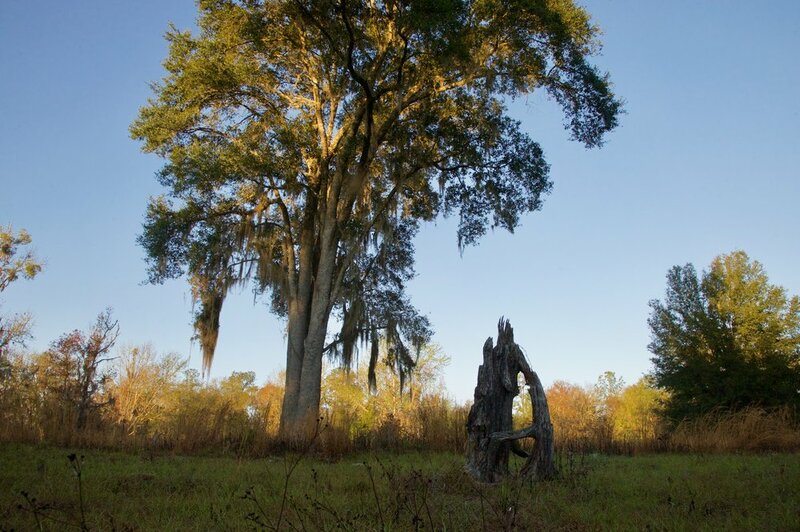 Prairie Creek Conservation Cemetery collaborates with Alachua Conservation Trust (ACT), a long-standing conservation organization in Gainesville, to manage, protect, and restore the land for all living things. This includes maintaining a conservation easement with Alachua County which protects the land from development in perpetuity and keeps it open to the public. Prairie Creek Conservation Cemetery is a natural and wild space. Here you will find a blend of flowering meadows and shaded, breezy hammocks where people from across the state and beyond have made the choice for a natural burial (also called green burial). By preventing the use of embalming fluids and vaults, those laid to rest here can return to and become one with the earth. All those who come to have a natural burial or visit the cemetery contribute to the land as a living memorial and our community’s legacy of conservation. As both a cemetery and preserve, Prairie Creek Conservation Cemetery invites visitors to connect with nature in new and meaningful ways. All are free to explore our 93 acres along hiking trails and footpaths, venture further out into the rest of ACT’s 512-acre Prairie Creek Preserve, or continue into Paynes Prairie State Park’s 21,000 acres of conserved land. There are many plants and animals including deer, beauty berry, turkey, live oaks, hawks, sparkleberry, cranes, spiderwort, kites, black-eyed susans, snakes, and more who call this place home.